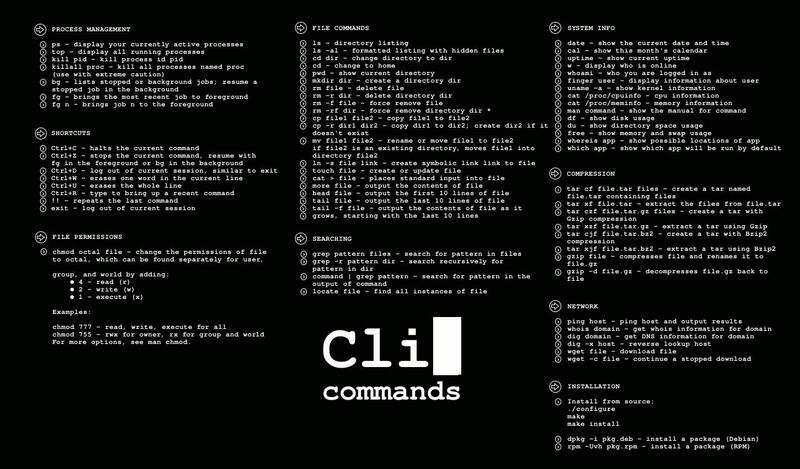 On a random search for linux wallpaper, I happen to discover a wallpaper filled up with commands. 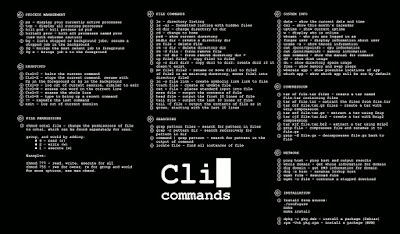 It's really something handy, (it's a list of general commands used in Unix/Linux environment) . Due to its original size is a 4:3 proportion, I do a resize , and re-arranging the commands to 1280x750.. and it can be resize to 1024x600 (small scale) for my netbook Ubuntu environment, and so.. Happy running commands in Terminal. :) and enjoy the ease and power of shell commands in Linux!